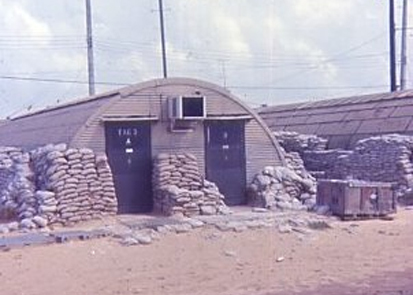 Although Quonset huts were primarily used during WWII, they were also present during the Vietnam war. 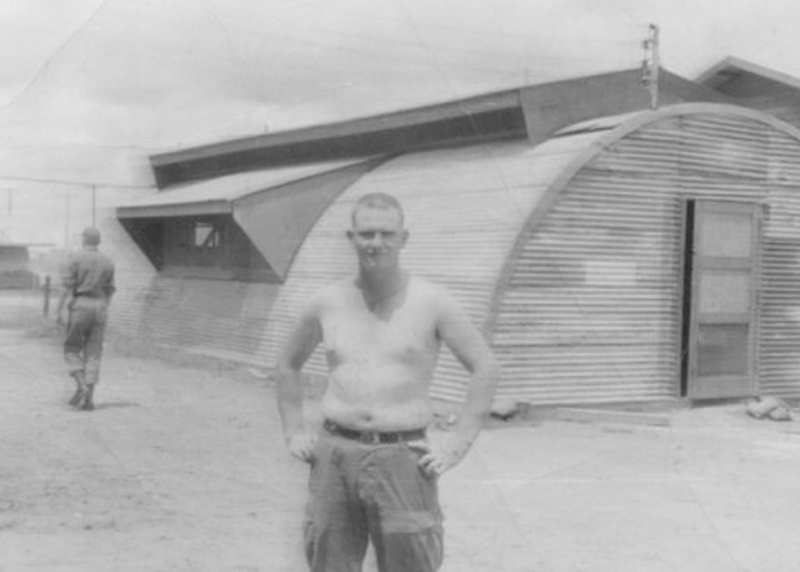 The following are some pictures and personal accounts. 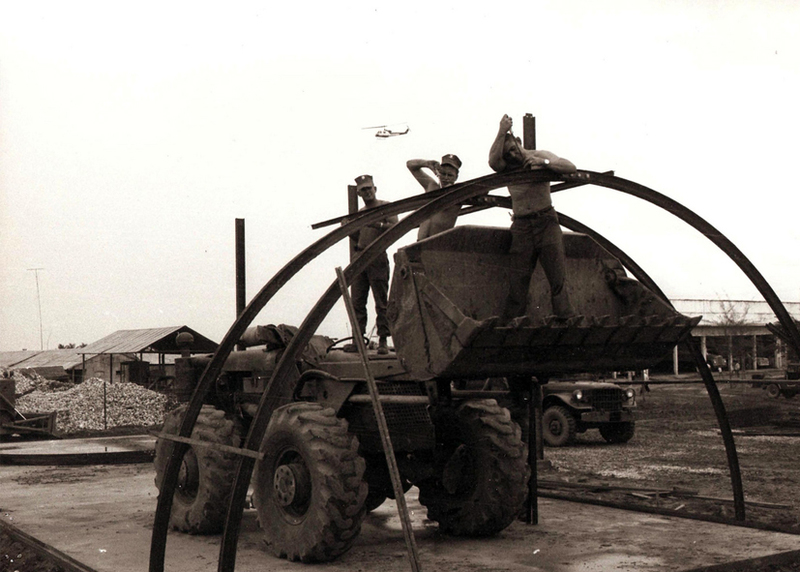 "The photo was taken prior to the construction of sand bag walls around the Quonset Hut. 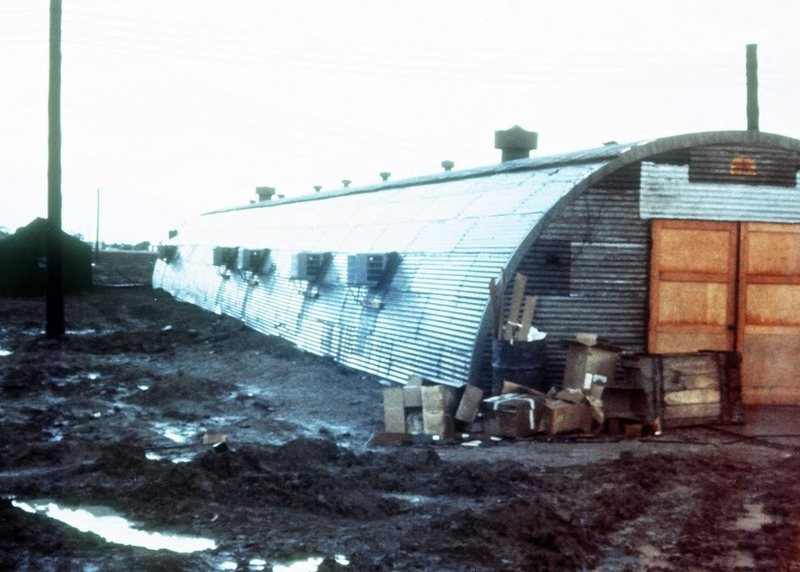 The mud shows what problems we faced in construction of the hospital. We used this door to take patients from pre-op to surgery and to take patients from surgery to post-op. 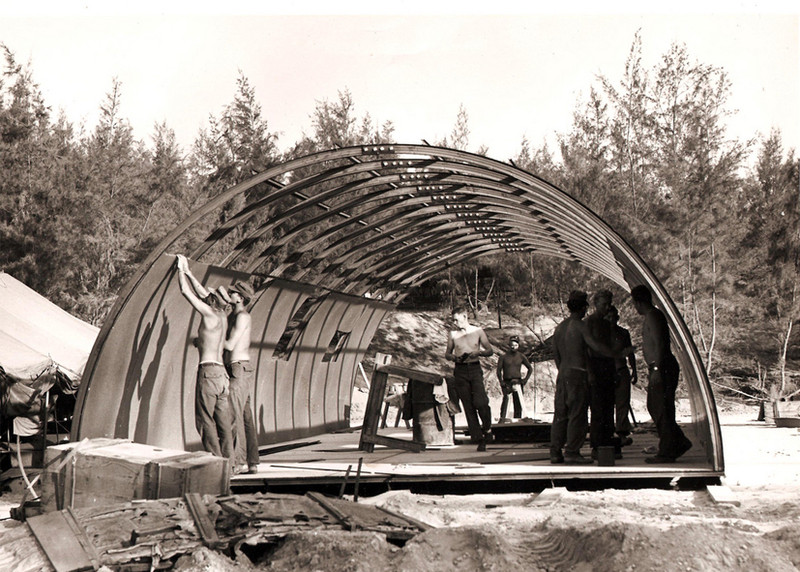 This was considered the rear of the OR Quonset Hut. 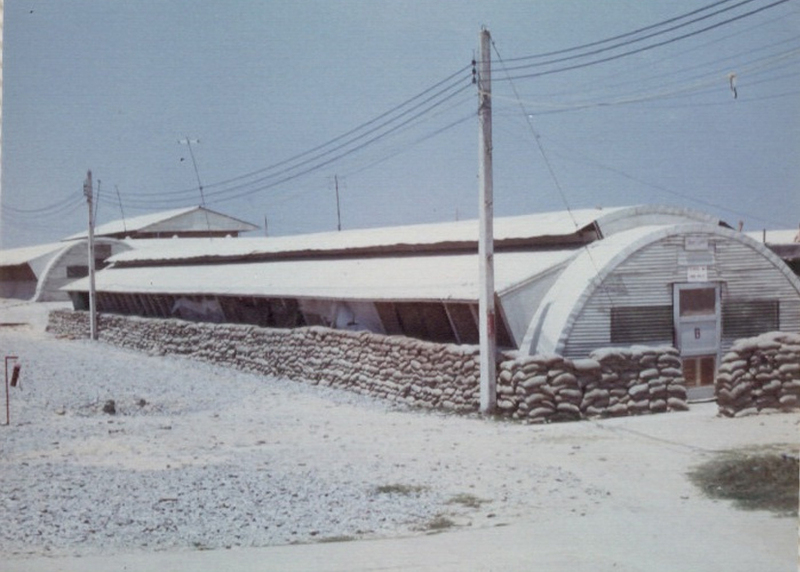 We had to build sand bag walls around the Quonset Hut before we were allowed to receive patients." 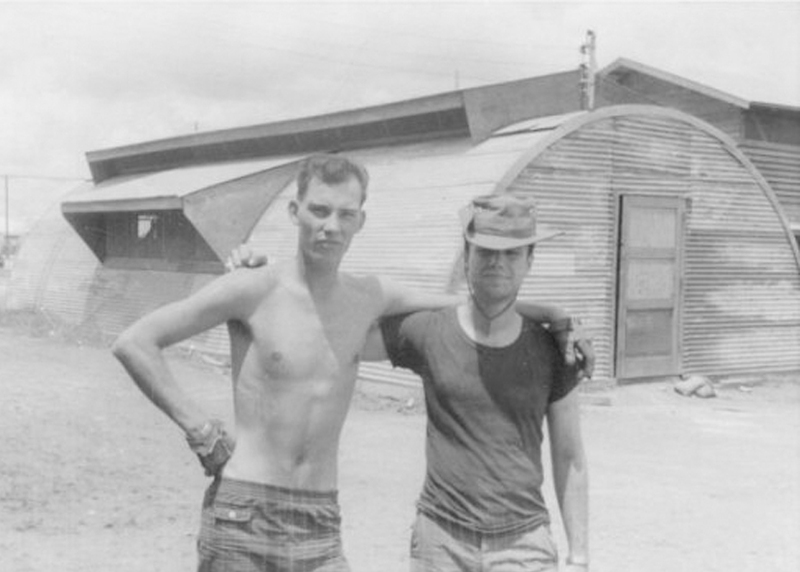 "When I arrived in Pleiku, about half the buildings in the hospital complex had been abandoned, and most of the others housed the officers and staff of the 146th Signal Company. " 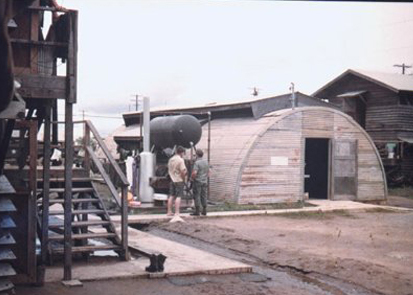 "About halfway through my tour at Chu Lai, we moved into air-conditioned Quonset huts, with cement floors, sandbagged head-high, inside and out. 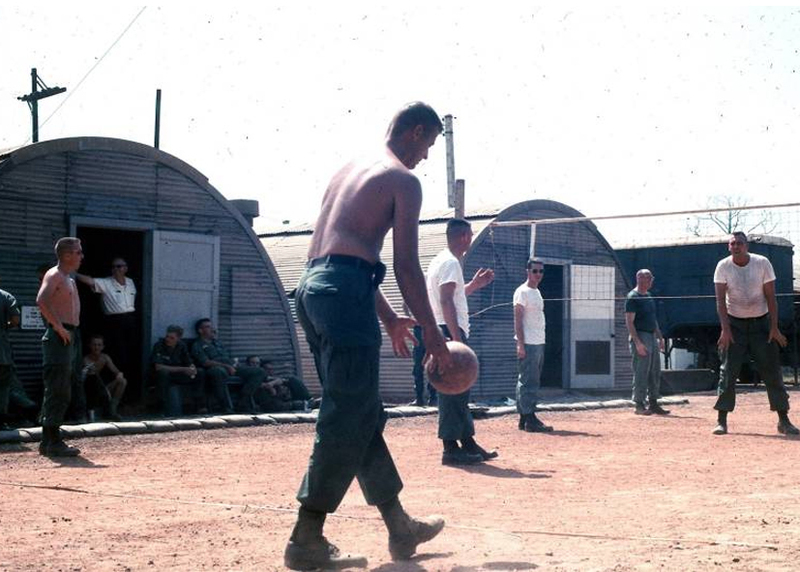 We still called them hooches"
Source: Dave Hunter, US Naval Academy Class of 1965. 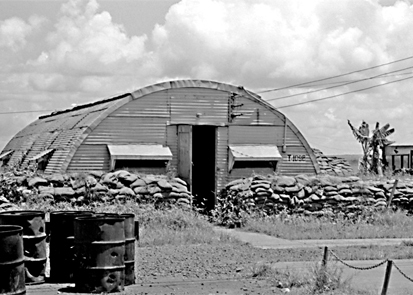 "OPs quonset hut left, Supply quonset hut right. 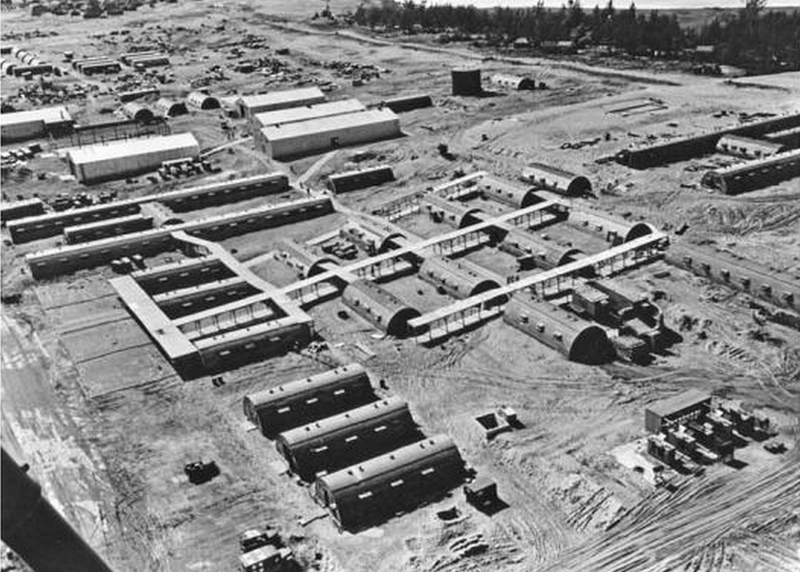 Admin quonset out of picture to left. 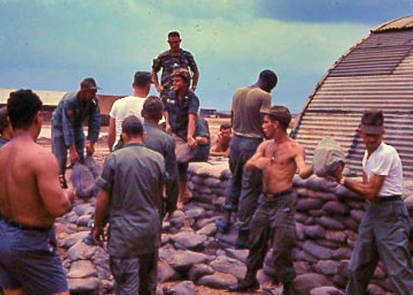 Supply room destroyed by 122mm rocket in Spring 68"